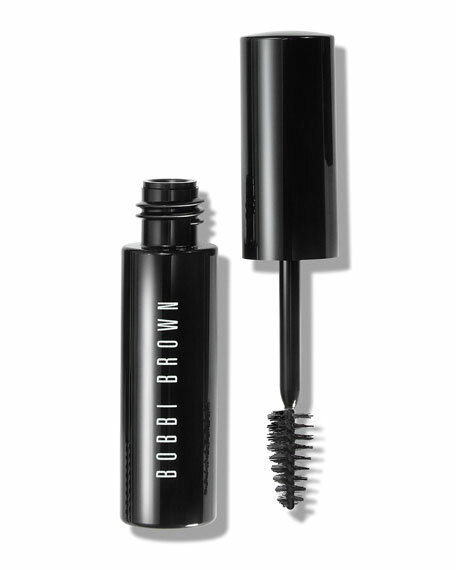 What it is: An innovative, flexible formula that shapes and holds brows in place for 24 hours. Soft to the touchnever tacky or stiffit stands up to water, humidity and sweat. The clear formula can also be applied on top of any brow powder or pencil to make them completely water resistant. 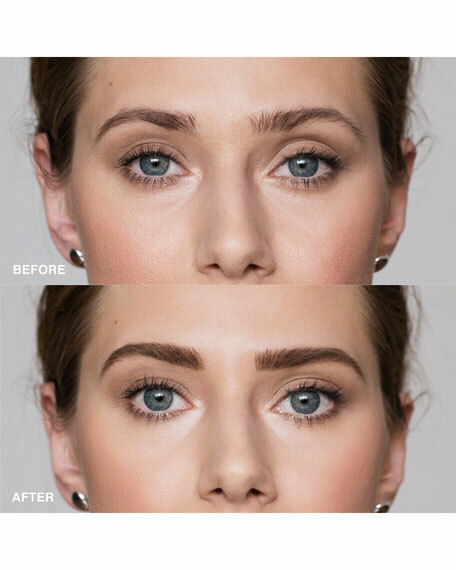 Why it's different: Whether you want naturally defined, bold or just well-groomed brows, our Clear Waterproof Brow Shaper has you covered. The non-tacky, featherlight formula gently tames and shapes browsthen holds them in place for 24 hours. Devoted to your brow pencil or powder shadow? Apply Waterproof Brow Shaper on top for a water-resistant top coat. How to use it: Lightly brush waterproof formula directly onto brows from the wand using short, quick strokes while moving upward and outward with your natural arch as you go. Apply over brow pencil or powder shadow to create a water-resistant top coat. Draw the line. Crave-worthy color that lasts all day and night—up to 24 hours. From precision definition to a sultry smolder, the possibilities are endless. Includes a soft smudge tip and built-in sharpener. For a smudged effect, blend before it sets. Waterproof. Smudge-, sweat-, heat- and humidity-resistant. Hourglass Cosmetics Immaculate Liquid Powder Foundation, 1.0 oz.